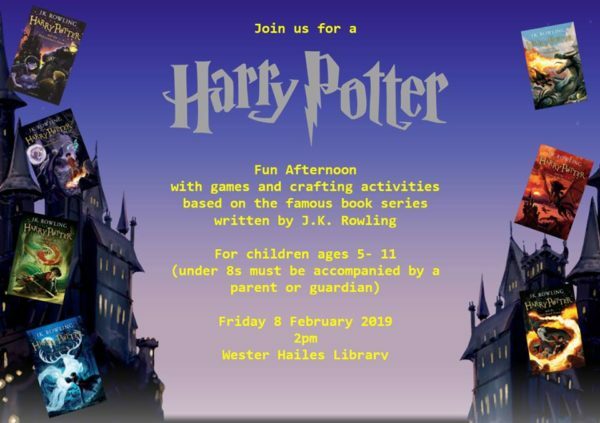 Wester Hailes library will be holding a Harry Potter Fun filled afternoon tomorrow, Friday 8 February 2019, from 2.00pm. Head along and take part in games and crafting activities based on the Harry Potter series of books. For children aged 5-11. Children under 8 must be accompanied by a parent or guardian. For more information contact the library on 0131 529 5667 or speak to a member of library staff.